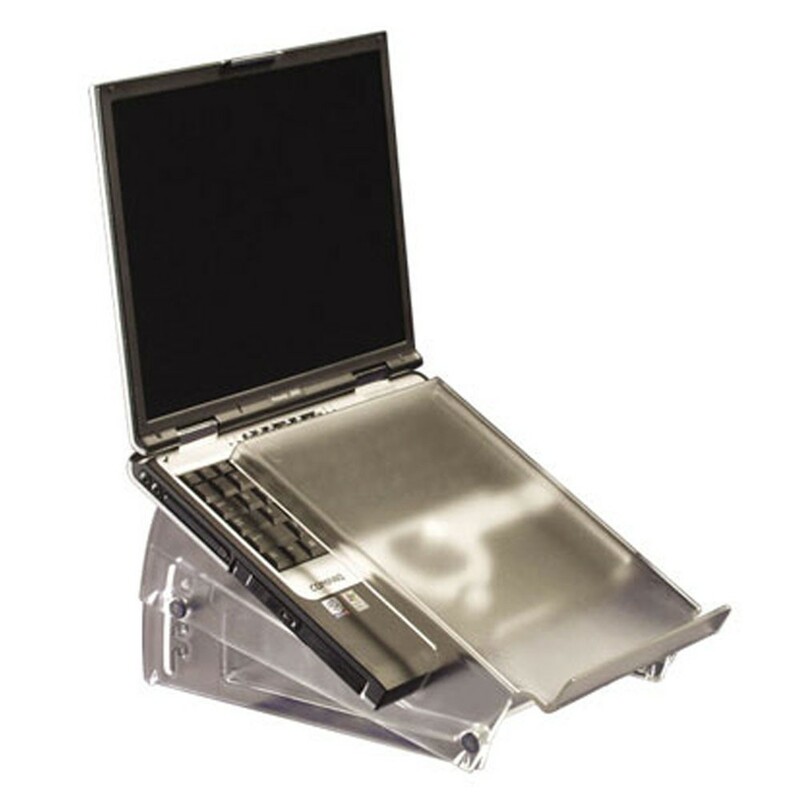 The Ergo-Top 320 portable notebook stand is suitable for all laptops up to 17-inch models. Perfect for all kinds of workstations. 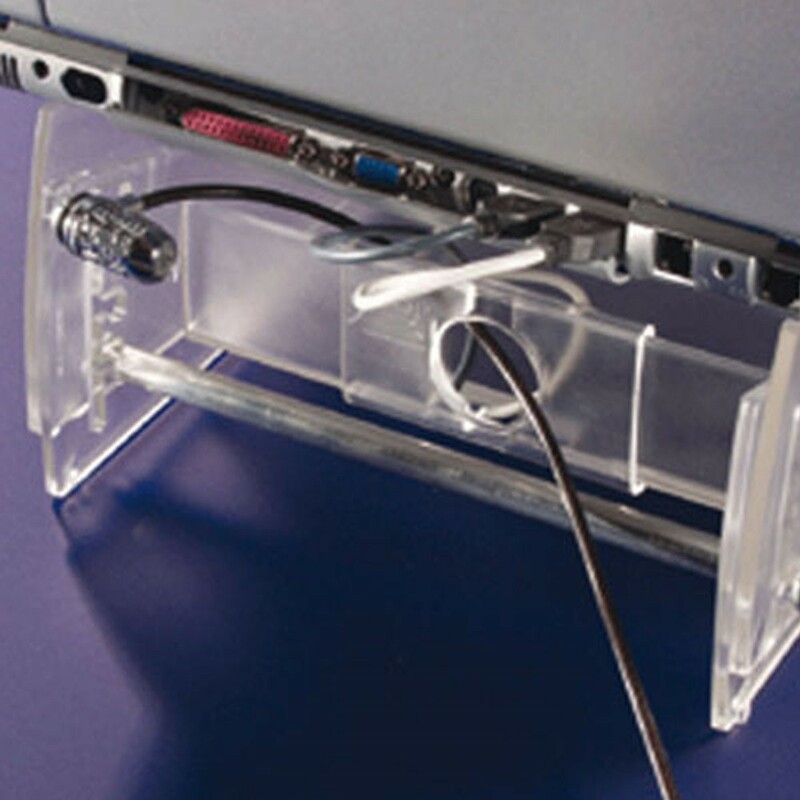 You can use the Ergo-Top 320 to read your documents without awkward twists and turns. The Anti reflective surface prevents glare and is height adjustable to 5 different angles. This laptop stand's smart and elegant design won it the Good Industrial Design Award recently. 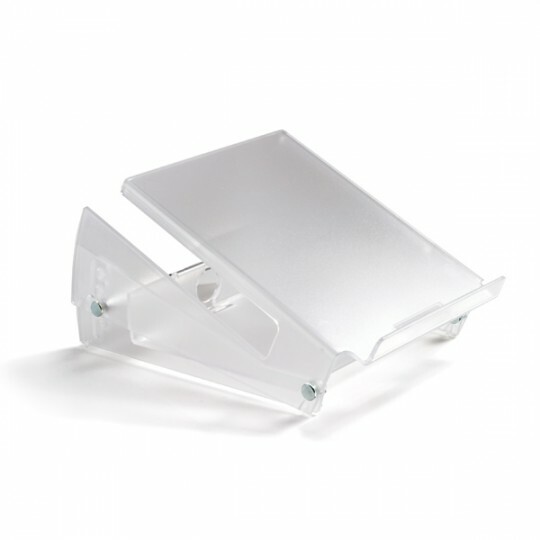 Integrated anti-reflective document holder - Use to read your documents without awkward twists and turns. Anti reflective surface prevents glare. Dimension 24.5(w) x 37(l) x (12.7-22)(d) cm. Fit for all laptops up to 17 "